Different strategies have been advocated to overcome the shortage of organs for transplantation. In addition to accepting extended criteria organs from donation after brain death (DBD) and promoting living donation, donation after circulatory death (DCD) is an option worth considering. This is confirmed by the policy of some European countries, such as the United Kingdom, where, in 2018, DCD reached a peak of 40% of all deceased donation [1, 2]. In Italy, the declaration of death based on circulatory criteria requires a no-touch period of at least 20 min, much longer compared to the 5 min accepted in other countries. Concerns about warm ischemia arising from this legal constraint have long discouraged the development of a DCD transplant program in Italy. A handful of DCD kidneys were recovered with the super-rapid technique and transplanted, but this practice was soon abandoned after the enactment of brain death legislation. Nevertheless, in 2007, a pilot project on kidney transplants from uncontrolled DCD donors was initiated in Pavia using normothermic regional perfusion (NRP) between death declaration and organ recovery . In 2014, Valenza et al. started a protocol to procure lungs from uncontrolled DCD that included donor maintenance on mechanical ventilation only and subsequent evaluation of the recovered lungs with ex vivo perfusion. Over 10 cases, only one underwent the full process and was transplanted, showing good graft function after a six-month follow-up . One year later, the team of Niguarda Hospital performed the first successful DCD liver transplant in Italy from a donor maintained on NRP . The same group implemented the initial protocol with the use of hypothermic oxygenated machine perfusion (HOPE) after NRP [6, 7]. Novel protocols including normothermic machine perfusion or the combined recovery of thoracic and abdominal organs during NRP are currently under development in Italy. Abdominal NRP relies on an extracorporeal circuit made up of a centrifugal pump and a membrane oxygenator. The donor’s femoral vessels are cannulated, and a Fogarty balloon is inflated in the supraceliac aorta to exclude the chest and avoid reperfusion of the brain. In Italy, percutaneous insertion of introducer sheaths is allowed pre-mortem to facilitate vessel cannulation, which is performed after death has been declared. In this way, NRP acts as a perfusion bridge between cardiac arrest and organ recovery, allowing the repletion of cellular energy stores after warm ischemia and an initial assessment of liver function [8, 9]. Moreover, different types of organ machine perfusion (MP), ranging from hypothermia to normothermia, have been recently introduced in clinical practice. The combined use of in situ and ex situ perfusion offers potential advantages of particular importance for DCD transplantation: organ reconditioning, viability testing and improved preservation times which favour transplant logistics . The feasibility of DCD liver transplantation despite a no-touch period of 20 min has drawn renewed interest in the DCD practice in Italy. But was DCD just a one-day wonder or does it have a future in this country? To answer the question, two elements must be considered: the outcomes of transplants from DCD and the current trend in DCD donations. The inferior graft survival compared with DBD donors and the increased incidence of ischemic cholangiopathy (IC) are traditionally the two main deterrents to DCD liver transplantation and the 20-min no-touch period is expected to increase these complications . Nevertheless, the latest analysis of the series of Niguarda Hospital has shown no difference in 1-year patient survival compared to DBD grafts (95% vs. 94%, p = 0.94) and a slightly inferior 1-year graft survival in the DCD group (85% vs. 91%, p = 0.20). Interestingly, IC did not adversely impact graft survival, as none of the recipients underwent retransplantation due to biliary complications . Ravaioli et al. have recently published a series of 10 kidneys from controlled DCD donors using NRP and HOPE. 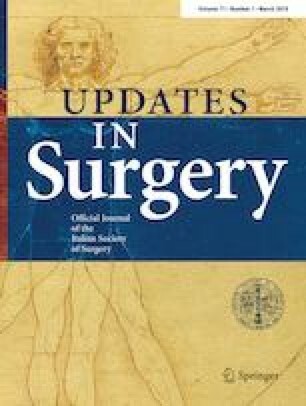 The authors reported a delayed graft function rate of 30% but no cases of primary non-function . The number of utilized DCD donors in Italy has progressively risen from 14 in 2016 to 32 in 2017, and 47 in 2018 . There are three possible scenarios: uncontrolled DCD, which occurs in case of out-of-hospital cardiac arrest; controlled DCD, which occurs after a planned withdrawal of life-supporting therapies; and DCD during extracorporeal life support (ECLS), which occurs when ECLS, previously started with resuscitative intent, is then stopped due to futility or impossibility to maintain circulation and converted to NRP. The majority of DCD donors in Italy are managed in a small number of donor hospitals with expertise in ECLS and NRP . These are geographically remote to liver transplant centers willing to accept DCD livers. This is an important logistical problem, particularly in case of uncontrolled donors. A shared donor management policy between the DCD donor hospitals and the transplant centers is of paramount importance for the project and should be the goal of the future policy on DCD in Italy. Therefore, DCD in Italy is inseparable from NRP, and most transplant protocols include the use of MP for graft reconditioning and evaluation. There is no doubt that NRP and MP bring into the picture considerable costs in terms of equipment and personnel. This raises some questions about the cost-effectiveness of DCD. Some years ago, Cavallo et al. have shown that increasing DCD kidney transplant can result in a cost-effective policy . This economic analysis was performed when kidney transplants were the only transplants from DCD performed in Italy. Every DCD donor should be now considered also for liver, lung, and more rarely pancreatic islet cell transplantation. It seems, thus, reasonable that the benefit could be even greater. In conclusion, although still in its infancy and despite the difficulties related to the no-touch period of 20 min, DCD in Italy has provided good results, produced innovative protocols based on the most modern combination of preservation techniques and has the potential to further increase the number of organs available for transplantation. The authors have no conflict of interest or funding to declare. As a commentary article, no ethical approval is required. As a commentary article, no informed consent was obtained.